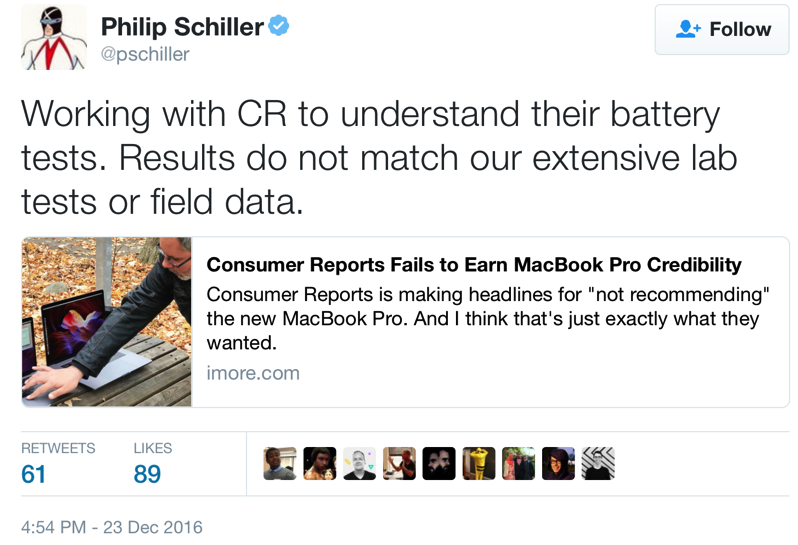 Consumer Reports said battery life on the 2016 MacBook Pro was “very inconsistent”, with results ranging from 4 to 19.5 hours depending on model. Consumer Reports said their use of Chrome saw improved battery life over Safari. 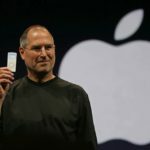 Many other tech reviewers, such as Walt Mossberg, similarly concluded he could not recommend the latest MacBook Pro over battery life concerns. The Verge also saw inconsistent battery life, so much so they received a second review unit from Apple and experienced similar results. These days, if I’m interested in battery life tests, I go to AnandTech or Ars Technica, where they show their work, explain their methods, and often take whatever time is required to get real answers before hitting publish. Same for other areas. I look to the experts who don’t settle for confusion but demand clarity. If there is something wrong with the MacBook Pro battery, then I want to know about it. Just saying you got inconsistent results is as valuable as telling me it takes 1, 4, or 12 hours to cook a turkey – not at all. I can get food poisoning or burn a bird on my own, thanks. Regardless of how Consumer Reports did their tests, the bottom line is we are also experiencing horrible battery life on our 13-inch MacBook Pro with Touch Bar. We were getting about 4 hours at first, but after installing macOS Sierra 10.12.2, that improved battery times to under 5 hours. The bottom line? Something isn’t right, whether it’s hardware or software, because there’s no way I can match Apple’s 10 hours of battery life, even if I was simulating their tests. How’s your battery life on your 2016 MacBook Pro with or without Touch Bar?